You may have noticed that Facebook has changed color of late in the form of a green square. That’s been held up as a protest against the unfair treatment of the visual effects artists today. It all came to a head Sunday night when Ang Lee won an Academy Award for best director of Life of Pi. I am told it’s a visually stunning film and while I have not seen it yet, it doesn’t take a genius to see that the film could not be made without visual effects artists. The film wouldn’t be so compelling if it were done in like the first panel would it? Certainly not! Here’s another example. See if you’d prefer to watch the film like the first panel. 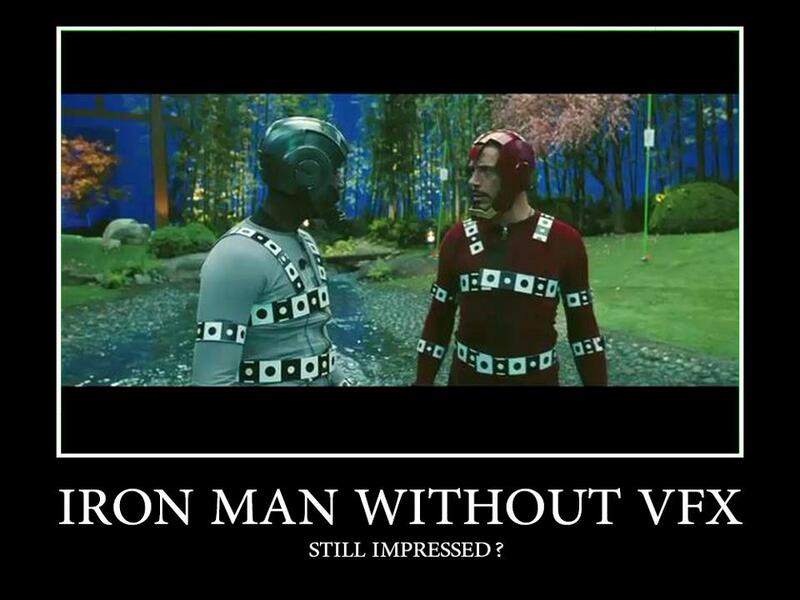 Yet studios as a whole do not respect the visual effects artists. Case in point: Rhythm and Hues, the studio that brought you the award winning effects in Life of Pi, recently filed chapter 11 bankruptcy and laid off a slew of talented artists despite the fact that the film recently passed it’s billion dollar mark in profits. Where’s all that money going? Not in the pockets of the vfx artists who spend day and night in dark rooms staring at screens and getting paid wages that in L.A. are impossible to live on. Add to that te fact that when the film is done they have to start all over looking for another gig that will do exactly the same to them. It’s a sad state of affairs. Sunday night, the visual effects community staged a protest outside the Oscars but it more or less went unnoticed. Small wonder when the networks are either owned outright or caught up with the studios themselves. When Life of Pi won for Best Visual Effects, winner Bill Westenhofer attempted to bring attention to the fact that his company is facing bankruptcy… and was cut off by the theme from Jaws. It’s sad to think that studios would be so disrespectful of the hard work that goes into creating the amazing films we see every year. But in truth animators across the world experience this every day. people love what we do and networks could not exist without our talents and yet they cry when we want to be paid a fair wage for our services. I’m honestly not sure how to remedy it but I for one am sick of it. You can read about this ongoing visual effects war on The Visual Effects Soldier.